WASHINGTON — A fire in the basement of the Steve Madden shoe store in Georgetown forced the evacuation of nearby businesses and closed M Street Thursday. D.C. Fire spokesman Oscar Menedez said firefighters received the call around 10:15 a.m. for the fire in the 3100 block of M Street. 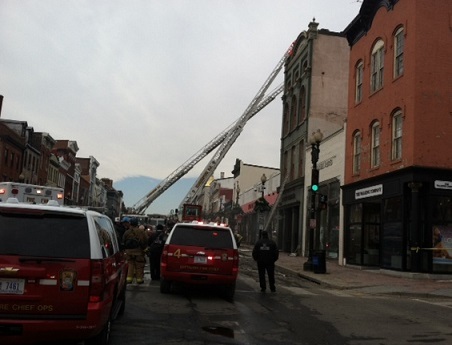 The fire was out by 11:20 a.m.
M Street was shut down between 30th Street NW and Wisconsin Avenue NW. It reopened shortly before 1:30 p.m.